As I perused my new comics pile from last week I made a selection of the best covers, and then I noticed there was a trend of villain family portraits. Not only that but there was such a disparity between the two that they both needed some close inspection. 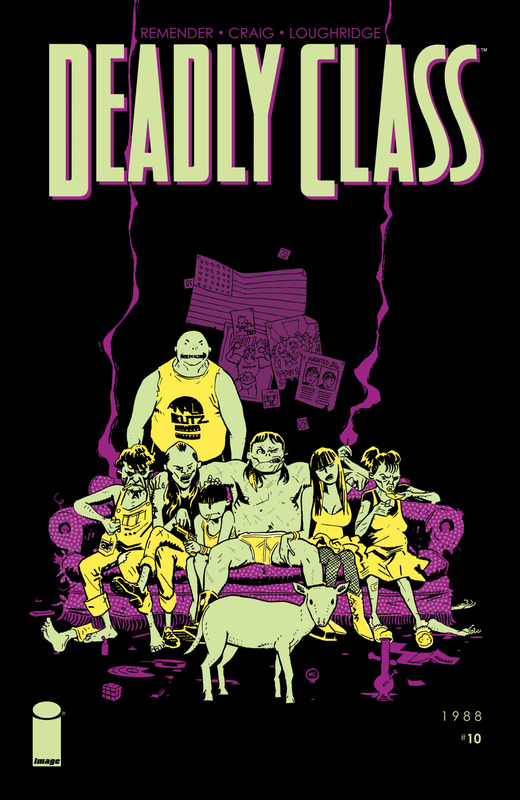 Deadly Class has produced a devastating malign entity in the form of Fuckface and his crew are just as abhorrent. Wes Craig has been superb in drawing the scowls and sniggers of a disfigured and disgusting family. Their clothing and postures are so reflective of their care-free attitude and their surrounds are equally as despicable. You must notice Loughridge’s ability to differentiate the family from their living room but his use of colours. He doesn’t focus on the details but the differences, allowing us to look centrally at the brighter colours even though they lead to thoughts of disdain. It is a very clever and effective cover and one that sends a shiver down our spine. The Inheritors are an all together different entity, as they are supremely powerful and an elegant upper class family. Their pose is more traditional and one that you would want framed upon the wall. In fact you are unable to tell their evil intentions just by their appearance, even though it has that essence of arrogance and entitlement. Camuncoli has a firm grasp of that classical fashion sense as well as the immaculate hairstyles and perfect faces, a great contrast to the scene above. However it is the background of this image that captures the imagination. 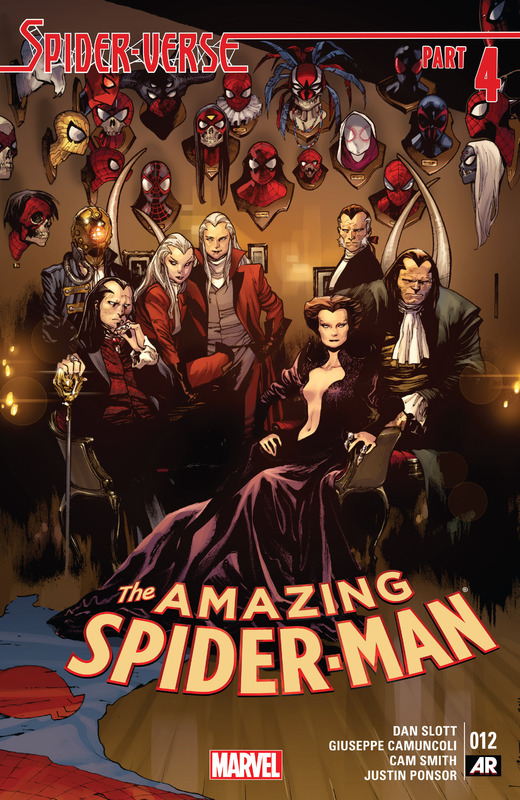 The multi spider heads are quite disturbing as we see mounted plaques of all the Spider-Men we know and love including Peter, Ock, Ham, Miles, Jess and most tragically Gwen. The pride in the display brings a whole new meaning to the portrait as the family are showing off their accomplishments and they do it with such hubris. These family portraits are just fascinating, one family realises they are scum and have no care in the world, whereas the others are full of arrogance and pride at the devastation of their enemy. On is all about being superior and the other is just about not caring at all. Both covers bear the same theme but provide their intentions in completely different but incredible styles. Previous PostThe HOFS 2014 Comic Awards: Confessions and Protestations! Next PostThe Theatre List 7/1 – Squirrel Girl is Unbeatable!